The Kubota 6pc Heavy Duty Utility Hook Set is the perfect storage solution. Features superior metal construction and coated finish to protect surfaces. Easy to install. Ideal to organize your shop, garage and basement. Characterized by its functional shape, this over-the-door hook rack will surely help save space in your home. Spoil yourself with this convenient storage accessory. The versatility of this studio hook has the advantage of blending into any dicor. Add functionality to your home office or garage with multiple hooks for your storage needs. 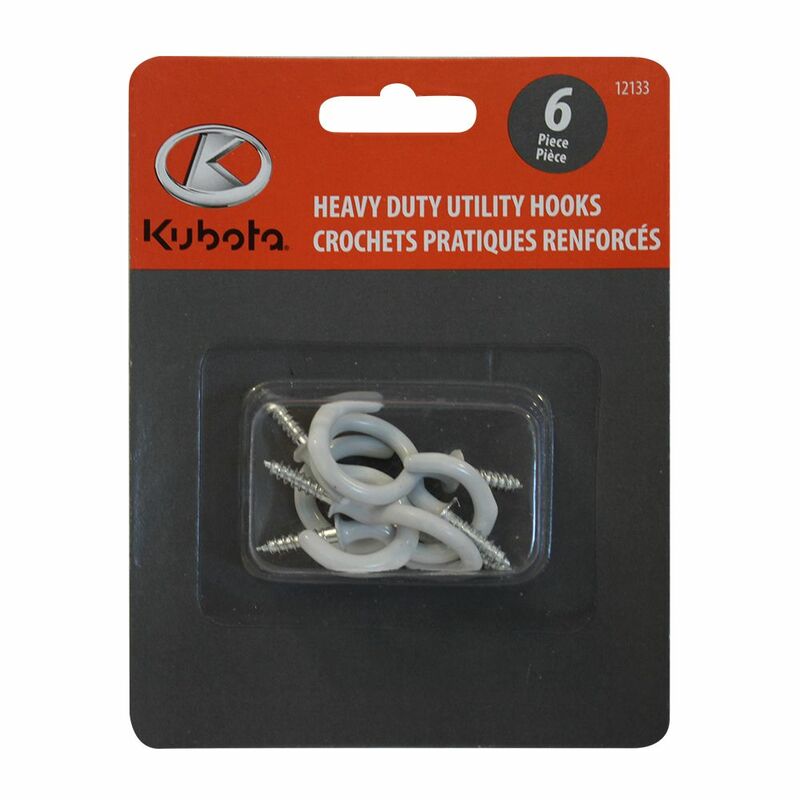 6 pc Heavy Duty Utility Hooks The Kubota 6pc Heavy Duty Utility Hook Set is the perfect storage solution. Features superior metal construction and coated finish to protect surfaces. Easy to install. Ideal to organize your shop, garage and basement.